while building a relationship of trust and respect with the horse. 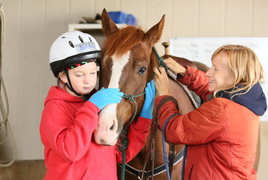 The attributes your child will learn at summer horse camp will apply to all aspects of their lives. 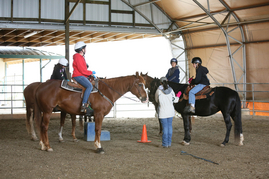 Mount Madonna Stables offers Riding Horse Day Camps. and ride for hours every day! We have a beautiful facility. We offer full day camps (9:00-3:00) for ages 7 and up. July Camps are through Mt Madonna School. 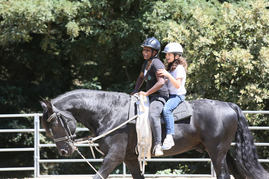 Send your child to our horse riding camp and they will come home as a rider! 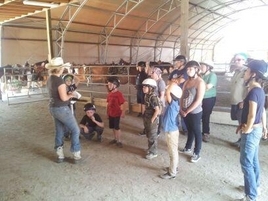 Campers enjoy riding our wonderful horses and participate in many horse related activities at this great horse riding camp. Our riding lessons are of the highest quality, and safety of horse and rider is emphasized in the arena and on the trails. 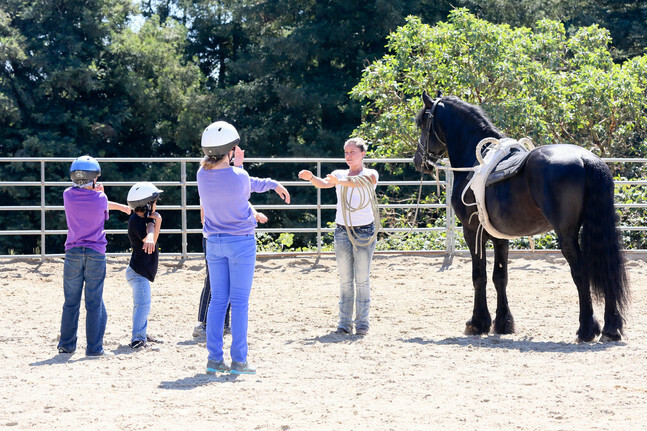 Basic horsemanship skills, horse crafts, games and a horse show on the last day so campers can strut their stuff and show everyone what they learned! 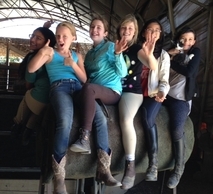 Our horse riding camp is one of the best in the Bay Area. 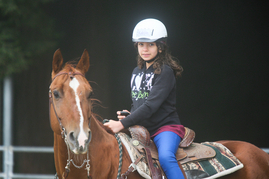 The low camper-to-staff ratio, plus specially trained horses and staff, allows us to meet each child’s specific needs and create a positive camp experience for every camper! Your camper will come home from our summer horse riding camp tired, but with a new sense of achievement, pride, responsibility and skill. Horse riding camps give youth the great outdoor setting, fun activities, specialize in training in horsemanship skills. Daily ground lessons, vaulting and Western or English riding lessons are supervised and taught by our professional riding instructors. 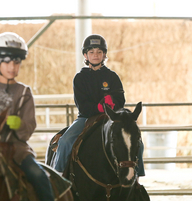 Camps are organized by skill level and previous riding experience. Trail riding and additional horsemanship experiences add to the excitement. 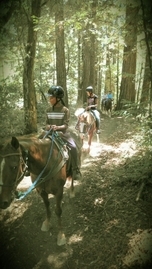 Horse riding campers learn skills in our beautiful arena and even get the opportunity to trail ride in Mt. Madonna park, on trails shaded by giant redwoods, with stunning views of the Monterey Bay. All areas of horsemanship, including grooming, tacking and horse anatomy, as well as English and Western riding skills, are covered. 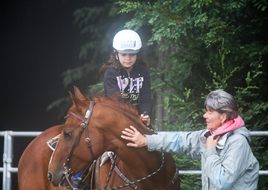 Our horse riding campers come to us as children and leave us as horsemen and horsewomen. Please download our waiver and sign it, and have your camper bring it with them. Cost: $500.00 Deposit $200.00 (Non refundable) due two weeks prior to camp date with registration forms. Camp balance due lst day of camp. Please be sure you notify camp director of any allergies or allergic reactions we should be aware of. These unique camps fills quickly every year. Sign up now!